Piaget’s theory states that adolescents are internally motivated to understand the world around them because doing so is biologically adaptive. Adolescents take in new information and organize it, separating important ideas from less important ones and connecting one idea to another. In his theory, Piaget states that individuals go through four stages that help them understand the world. Each stage demonstrates a different way in which individuals make sense of their environment. The first stage is Piaget’s sensorimotor stage. This stage lasts from birth to about two years of age. In this stage, infants are using physical motoric actions along with their sensory experiences, such as seeing and hearing, in order to familiarize themselves with the world around them. The second Piagetian stage is the preoperational stage. This stage occurs between two and seven years of age. Children in this stage are just beginning to understand the world in terms of words, images, and drawings. Children are beginning to associate and connect sensory information with physical actions and words. The third stage described in Piaget’s theory is the concrete operational stage. This stage takes place in children between 7 to 11 years of age. Children in this stage are able to perform operations that involve objects. They are also able to think logically and apply their reasoning to different concrete examples. 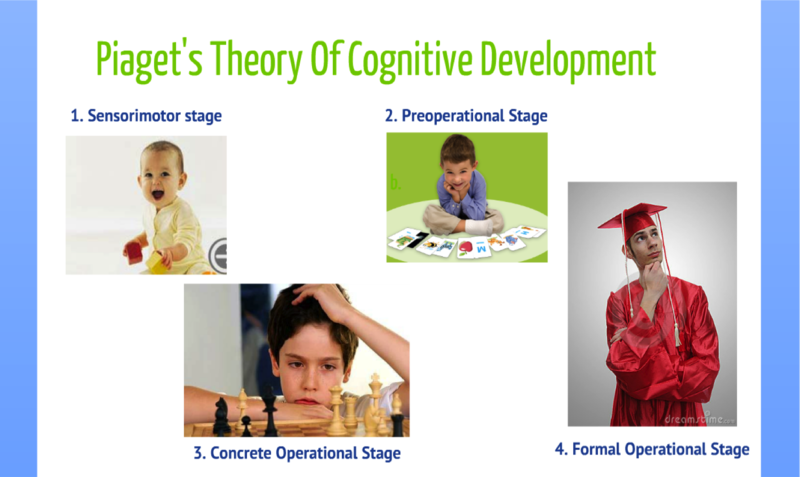 The fourth and final stage in Piaget’s Cognitive Developmental Theory is the formal operational stage. This stage takes place at 11 years old and continues through adulthood. In this stage individuals are able to think in abstract terms. Individuals in this stage think in terms of ideal circumstances as well as various possibilities for their futures. Individuals in this stage become systematic and develop methods of problem solving such as creating a hypothesis.